London - Mark Webber thinks world champion Lewis Hamilton can bounce back and secure his third consecutive title this year. After another troubled weekend in Baku, Hamilton's deficit to Nico Rosberg blew back out to 24 points as he declared: "It's looking like a good year for Nico". But former Formula 1 driver Mark Webber said on Tuesday (21 June 2016): "I think Lewis can still win the title. "He's dangerous and fast when he's in the right mood. "If he can show every weekend what he can do, he can still make it difficult for Nico," the Australian told Austrian broadcaster Servus TV. By the same token, Webber said it is possible that Rosberg will also keep his nose ahead in 2016 and lift his first F1 title. Webber said: "As long as Nico does not have to deal with the 'real' Lewis too often, he has a chance." Another former F1 driver, Jean Alesi, thinks Baku will have been a lesson for Hamilton. Alesi told the French broadcaster Canal Plus: "Lewis Hamilton learned a lesson in humility. 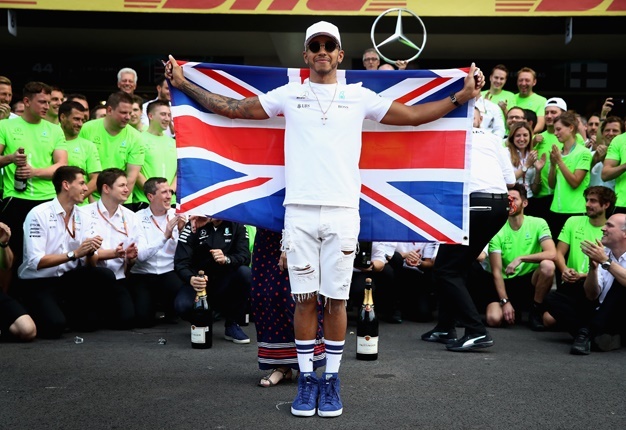 He said it is noteworthy that Hamilton went into the Baku weekend declaring that it was not a street circuit in the same class as Monaco. Alesi said: "I think when you have a car as good as the Mercedes is today, it's easy to fall into a trap. I think Lewis will go home with some humility, because you have to treat a difficult track like that more seriously. "After the third practice, his pace disappeared. I believe that from time to time, a driver needs a cold shower such as this."